Justice Available? Jayana Summers, 3, and Mother Involved in Tragic Columbia Pedestrian Car Accident. According to WACH.com, “[t]oxicology results are pending with the South Carolina Law Enforcement Division” and the incident remains under investigation. As the details of this tragedy continue to develop, and if the driver is found to be at fault, Jayana Summers’ mother may elect to file civil claims for both her injuries and the tragic loss of her child. Based upon its experience and success handling pedestrian accident cases, The Murray Law Firm suggests that Jayana Summers’ family should retain an experienced personal injury firm to protect their interests and ensure an unbiased investigation. Photographs of the vehicles and roadways involved and a review of traffic surveillance footage will need to be performed immediately before any evidence is damaged or destroyed. Lawrenceburg Apartment Complex Fire Leaves One Occupant Critically Injured; Preventable Tragedy? Could the injuries from this apartment fire have been prevented and are justice and compensation available to the victim? 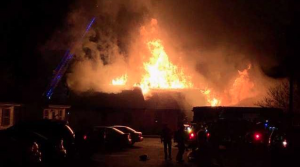 A fire engulfed a Lawrenceburg, Tennessee apartment complex Friday night, March 22, 2019. According to WHNT.com, “[t]he Lawrenceburg Fire Department arrived to an occupied apartment complex located at 1067 Old Florence Road around 8 p.m…. [t]he fire was extinguished around 11:30 p.m. and overhaul operations were completed.” WSMV.com is reporting “[a]t least 10 apartments were destroyed, displacing 10 families.” During a search of the building, “firefighters rescued one victim with critical injuries and another occupant from the burning buildings,” according to WHNT.com. Media reports indicate the fire remains under investigation. As the fire department continues its investigation, premises liability attorneys with The Murray Law Firm question whether a lack emergency evacuation procedures and fire safety measures at the complex may have contributed to this incident. When was the last fire inspection and emergency evacuation drill performed? What fire safety measures, such as working smoke detectors, fire sprinklers and emergency exits, were in place and working at the time of the fire? Were all escape routes properly marked at the building? As details of this fire continue to emerge, The Murray Law Firm suggests that it is possible that the apartment complex failed to undertake proper safety measures to protect those residents and guests legally on the premises. Under certain State law, the owner and management company of an apartment complex have a duty to protect residents and to keep the premises safe. If the owner or manager fails in this duty, they may be held civilly liable for any injuries or wrongful deaths that occur as a consequence. Should the Lawrenceburg apartment complex be found at fault, the victims may elect to hold the owner and management company civilly liable for their injuries. Financial recovery for such a claim could be substantial. As insurance companies and unscrupulous property owners are often more concerned with limiting their financial exposure in these incidents, it is crucial that the victims retain an experienced premises liability firm as soon as possible to ensure all evidence, such as a faulty fire alarm or a poor evacuation plan, is preserved and the victims’ best interests are protected. The Murray Law Firm has extensive experience in premises liability and apartment negligence cases, such as this, and we offer our legal expertise, if needed. If anyone has information to share, or if anyone is seeking information regarding this incident, please contact us at 888.842.1616. Preventable Security Failure? Woman Shot in Attempted Robbery at Greenwood, SC Apartment Complex. 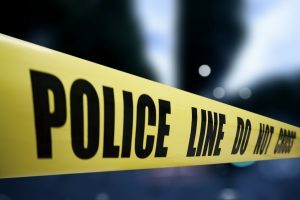 Security measures are under scrutiny following a shooting at a Greenwood, South Carolina apartment complex Tuesday evening, February 12, 2019. According to WSPA.com, “deputies responded to a call about a woman being shot at Wisewood Apartments, which is located off of Florida Avenue, at about 6:30 p.m.” The news agency indicates that “people were reportedly standing in the parking lot of [the] complex when two unknown men–one wearing a dark hoodie and the other wearing a light hoodie–walked up and tried to rob them.” According to FoxCarolina.com, “when the suspects realized there was nothing to take, they started to walk away, only for one of the suspects to turn and shoot a single shot.” That shot hit a woman “in the side of her abdomen” according to the news outlet. How did the suspects gain entry to the property? Generally, property owners are required to protect all those legally on the premises from any foreseeable harm. Should the facts of this matter reveal that the apartment complex owner or management failed to provide adequate security to protect those on its premises, the victim may seek justice and elect to pursue legal claims for her injuries. The Murray Law Firm has an extensive and successful record representing victims of violence and security negligence at apartment complexes. We have recovered millions of dollars for our Clients, and recently obtained a $29.25 million dollar verdict for a victim of an unsafe property. We offer our legal assistance, if desired.